synthetics. 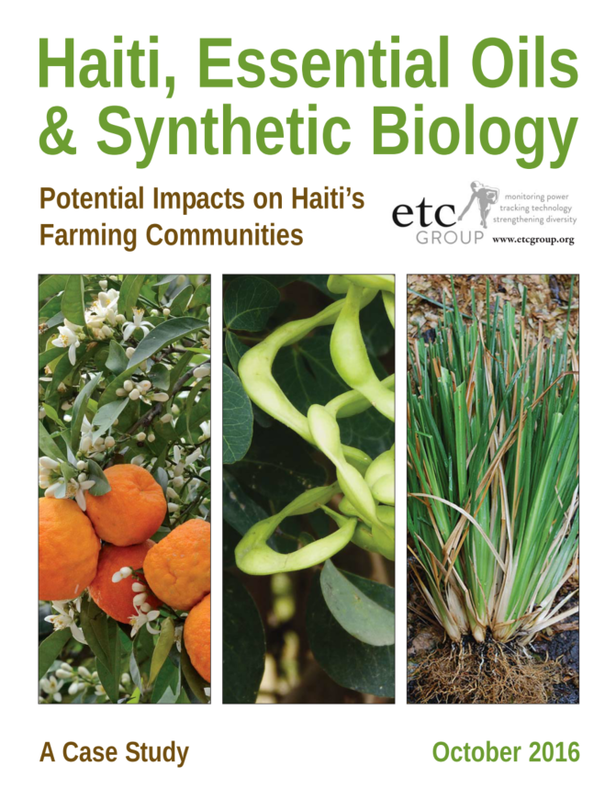 Our fact-finding report attempts to answer the following key questions: Is the market for Haiti’s essential oils threatened by current R&D on synthetic biology? Are the livelihoods of Haitian farming communities jeopardized by these developments? You can read the report in English here, or in French here, or download below!